I’ve touched down back in the UK after a long stint abroad in Hong Kong, Japan and Dubai, and whilst it’s great to be back, I must admit the freezing cold weather took a bit of getting used to! 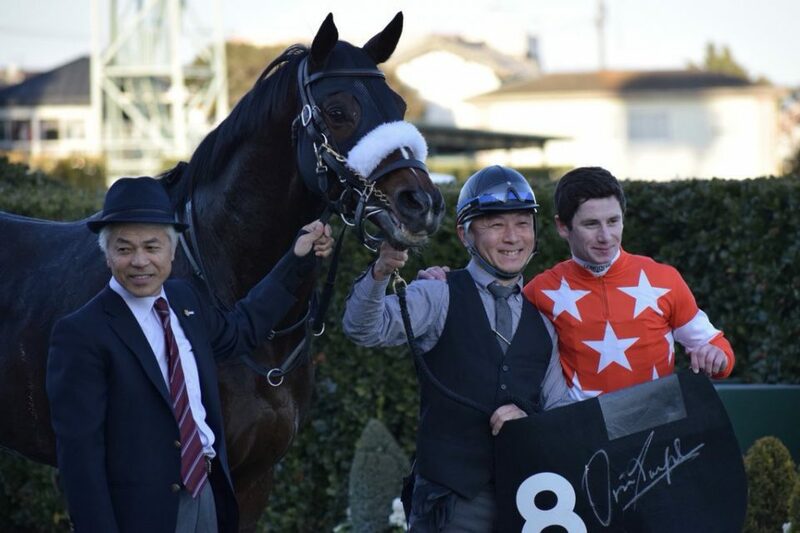 What a wonderful experience it was to get a real taste of racing life in Japan, a place it has long been my ambition to ride in- it certainly didn’t disappoint. There were some real highs on this trip, including riding a Group winner at the end. Not to mention spending most of my working days with Sakae Kunieda, trainer of Almond Eye who was essentially my boss out there. 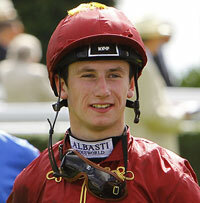 He’s a vastly experienced trainer and was great to work and ride for. In terms of Almond Eye I’d say it’s likely we’ll see her on European soil this season, whether that’s at Longchamp or on these shores we will have to wait and see. It can be very challenging out there as a jockey. You’re riding on Saturday and Sunday, but you spend the whole week preparing for those race days. You’re in ‘jockey jail’ from Friday night as you’re getting your weight down and making sure you’re good to go for the weekend. But it was a superb experience and most importantly I got to ride some really fast horses over there, which is what it’s all about. I had some really good support from my agent out there, and William Buickfzfatzufdxcccxafyf provided me with great advice before going out. This meant I was in a great position to ride good quality horses, and ultimately ride a lot of winners in that time. I was really thrilled with how it all worked out. It feels good to be back on these shores though it still seems a long way out from the start of the UK Flat turf season. For the next few weeks I’ll be mixing my time up here on the All Weather and jetting to Dubai for the Carnival. Last year I reached a personal best of 198 domestic winners, and you can bet I’ll be looking to get past the 200 mark in 2019. It’ll be a tall order given that I’m starting riding back in the UK later this year, but hopefully I can get straight back into the swing of things and, most importantly, into the winners enclosure on a regular basis. I’ve got some good prospects over at Meydan in the next few weeks. I’ve been riding out Simon Crisford’s miler Century Dream and will be on him in his next race at Medan, which is an excellent opportunity. His last outing was on QIPCO British Champions Day where he came third to my mount Roaring Lion in the QEII Stakes, which is very good form. There’ll be plenty of other opportunities coming my way over the next few months fingers crossed, and it’ll be great to get rides from a large group of different trainers who I have been riding out for. So expect to see me nice and busy as we head into the Spring! He’s by Animal Kingdom and has won over 5 furlongs and 7 furlongs. He’s a progressive horse and I’d be surprised if he can’t make a decent impact at the Carnival.